1 Assault Group Royal Marines is the lead for amphibious warfare and Royal Navy board and search training. The group is tasked with training and developing core amphibious and surface assault skills and equipment. It is also tasked with parenting the Assault Squadrons of the Royal Marines (ASRMs) and their Landing Craft detachments which are assigned to the amphibious assault ships. On the 2nd August 2013, 1 AGRM and 10 Training Squadron moved into their new home at RM Tamar in Devonport. The headstone at the grave of Corporal Martin Dean lists his unit as Special Boat Service. 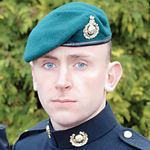 Read more about DEAN, Martin, R.
Sergeant Neil Gillings, 1 Assault Group RM, died after illness. 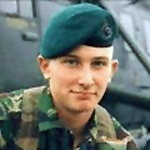 Marine Craig Hodgkinson, 4 Assault Sqn. 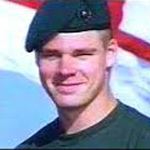 RM, died of a heart attack whilst playing in a rugby match between the Royal Navy and Cornwall County. A keen rugby player, Craig played throughout his school career, including games for the Scotland Under 18s XV. He also played for Glasgow Hawks and was a member of the team that toured South Africa in 2003 and were unbeaten in their three matches. Marine Christopher Maddison, 9 Assault Sqn. 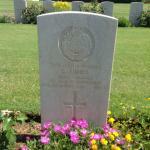 RM, died of shrapnel wounds after his landing craft came under fire on a river patrol near Basra last March. 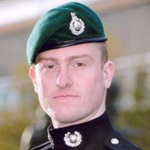 An initial investigation by the Royal Military Police blamed his death on an Iraqi ambush, but a Royal Navy board of inquiry concluded that he had been killed by fire from his own side.